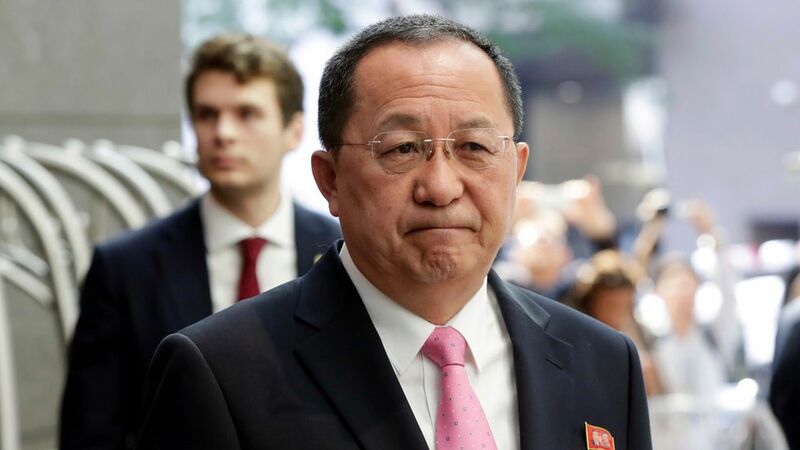 On Monday, North Korea's Foreign Minister Ri Yong Ho said President Trump had declared war on North Korea when he tweeted they wouldn't "be around much longer" if Ho echoed "thoughts of Little Rocket Man." January 2010: South Korea warning they would "launch a preemptive strike if it thought its...neighbor was preparing a nuclear attack." January 2013: South Korea possibly joining other U.N. members on increasing sanctions against them. March 2013: U.N. sanctions, along with U.S. and South Korea military drills. February 2016: South Korea pulling out of a cooperatively-run complex between the two countries. July 2016: Sanctions imposed by the U.S. against Kim Jong-un and senior officials. May 2017: A supposed "'terrorist' plot" by the U.S. and South Korea to kill Kim Jong-un.